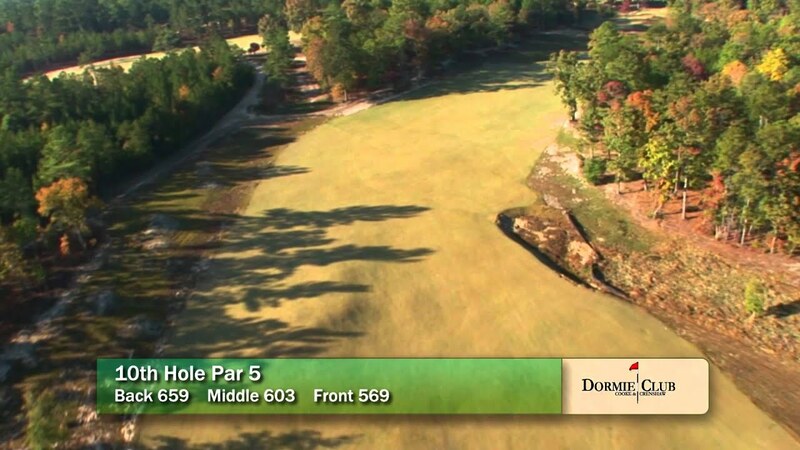 Legacy Golf Links is proud to be one of only three courses in the Pinehurst, Southern Pines, Aberdeen area which has played host to a USGA National Championship. 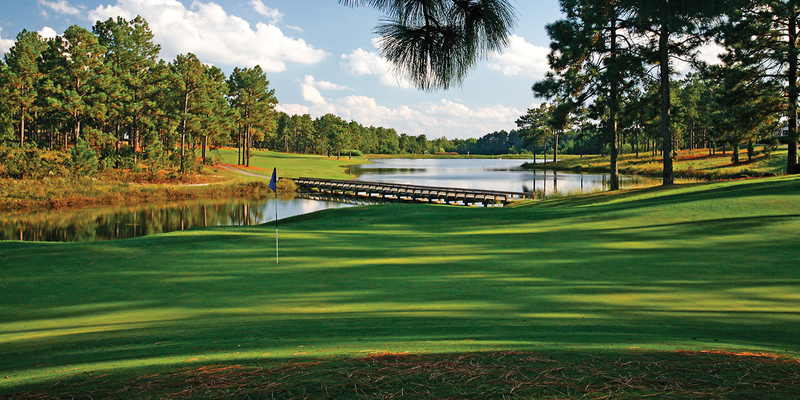 This Jack Nicklaus II design is a "must play" when visiting the Sandhills. For three generations, Peggy Kirk Bell and her family have been welcoming guests to Pine Needles Lodge and Golf Club. The classic Donald Ross course was completely restored in 2004 and has hosted the 1996, 2001 and 2007 U.S. Women's Open Championship. in North Carolina have just what you need. Once you feel the sand between your toes, youll want to come back again and again. 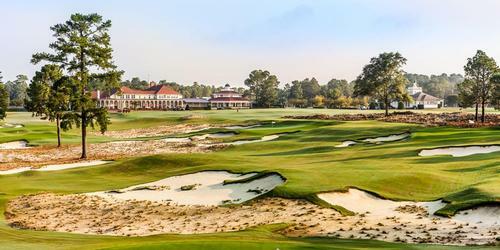 To the ears of golf aficionados, the word Pinehurst has almost the same hallowed resonance as Augusta or St. Andrews. 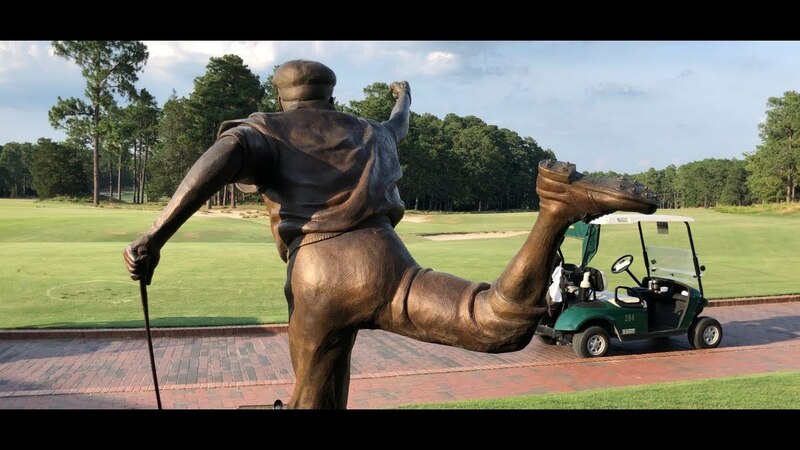 The accolades for the eight fantastic courses that make up Pinehurst Resort are well deserved, and the pilgrimages that golfers from around the world make to the Sand Hills of North Carolina create excellent golf memories to last a lifetime. Although Pinehurst #2 receives the lion's share of the publicity, Pinehurst #2, #4 and #8 all regularly rank among the best courses in the country, if not the world. And #1 and #3 both showcase legendary designer Donald Ross' masterful skills. So it's impossible to pick a less-than-great course there. 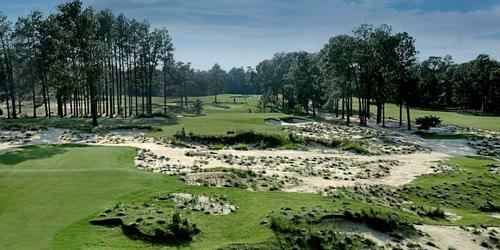 Pinehurst Resort makes for the perfect buddies' trip, since it is all inclusive and golfers can golf themselves limp. And yet Pinehurst also makes for a perfect special retreat for golfing couples, since the customer service and the pampering at the resort are legendary. No, this is not budget golf, so playing these fantastic tracks takes a monetary commitment. But then again, so do most things worth a darned thing. 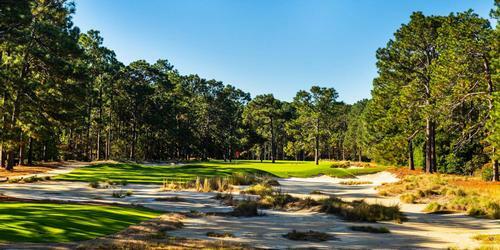 As fantastic as the Pinehurst courses are-and, yes, they are at least as challenging, varied and memorable as advertised-not everyone can fork over an eyetooth to play these famous courses that decorate North Carolina's Sand Hills. Golfers of means, certainly, can check into the resort, then savor one course after another. 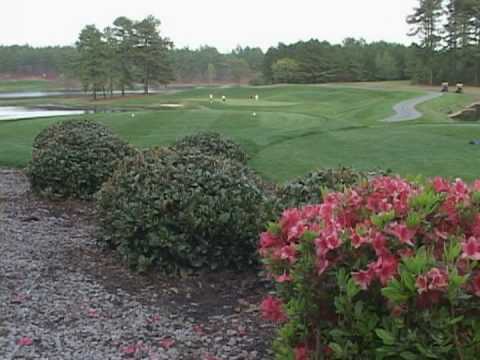 Golfers, however, who belong to the other 99 percent may want to splurge on a round at Pinehurst, then head to other nearby courses that are much more reasonably priced. Tobacco Road, for example, located in Sanford, delivers more bang for the buck than anywhere else, emphasis on bang. This Mike Strantz design ranks among the hardest in the country, but golfers who like having to "make shots" will love this brute. Chicken Little golfers should play elsewhere. 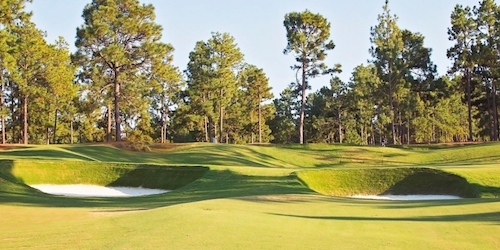 "The Open Doctor," Rees Jones, created Talamore Resort Golf Club in Southern Pines, and this wonderland traipses through the same Sand Hills terrain that the Pinehurst courses do, yet Talamore charges a fraction of the price. And Legacy Golf Links, in Aberdeen, grants yet another chance to play an outstanding course at a more than reasonable rate. The Sand Hills region delivers so many quality courses that choosing among them quickly becomes impossible, since every course is a winner. Visitors can set out to play them all, beginning alphabetically with Anderson Creek Golf Club, or they can target their favorite designers, since most of the big names have designed tracks there. Arnold Palmer delivered his contribution at Woodlake. 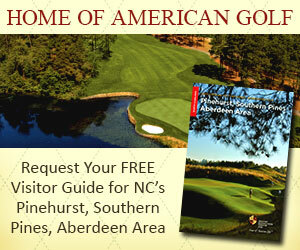 Get a free customize golf package for Pinehurst, Southern Pines, Aberdeen Area? 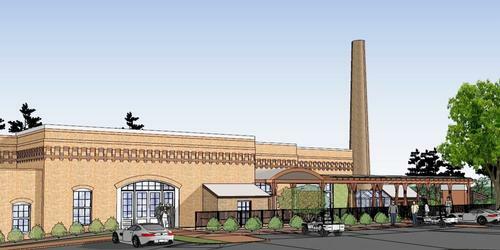 TripAdvisor.com provides a destination guide for Pinehurst, Southern Pines, Aberdeen Area complete with reviews, things to do and deals on restaurants, flights, and lodging. 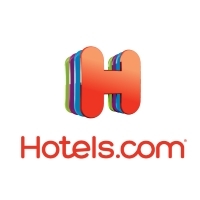 Looking for hotel rooms in and around Pinehurst, Southern Pines, Aberdeen Area? 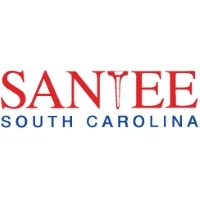 Looking to travel to Pinehurst, Southern Pines, Aberdeen Area? 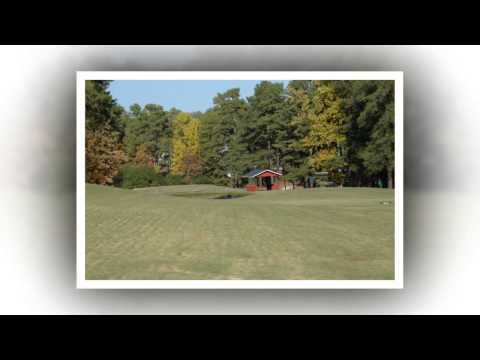 Looking to travel and golf in Pinehurst, Southern Pines, Aberdeen Area? In 1991, famed golf course architect Rees Jones linked his name forever with the great golf of the North Carolina Sandhills when he debuted Talamore Golf Club. Since receiving the designation as Best New Course in the South by Golf Digest, Talamore has been consistently ranked at the forefront for outstanding courses in the Village of Pinehurst area. Talamore's clubhouse, pool and cabana are all conveniently located next to the Talamore Golf Villas, which were constructed shortly after the club's opening. The Talamore Golf Villas have long been a favorite among golfers vacationing in the area for their wonderful amenities and panoramic views of the Resort Course's signature finishing hole. 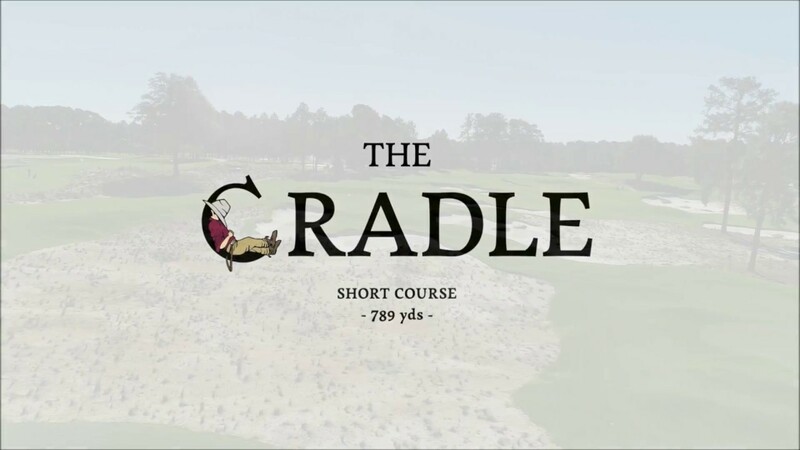 The Cradle - "The most fun 10 acres in golf"
Been to Pinehurst, Southern Pines, Aberdeen Area? Write a review to help future golfers plan their golf trip.